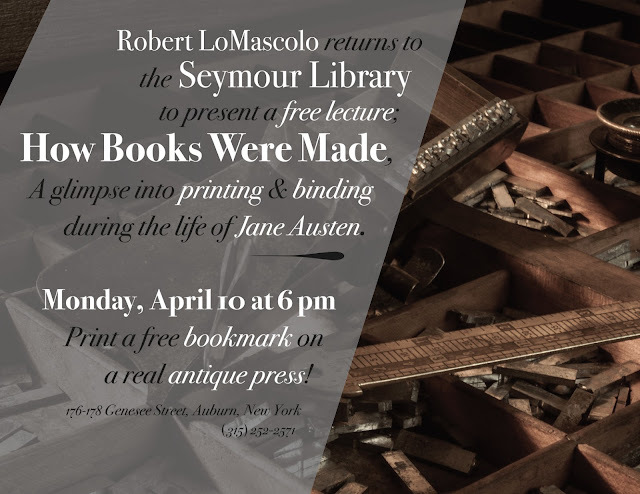 The Press of Robert LoMascolo: Mark Your Calendar! I will be giving a free lecture at 6pm on April 10th at the Seymour Library in Auburn, New York. I will be bringing an antique press along ! I hope to see you there.